INDIANAPOLIS, March 31, 2014 -- Global Water Technologies (OTC Pink: GWTR) notes increasing water prices and limited supplies are increasing demand for tools that improve the efficiency of water distribution systems. The company has assembled innovative technologies for improving water efficiency, ranging from sensors and software that reduce leaks and pipeline rehabilitation techniques to customer dashboards that improve usage data. All fit into the company's People + Pipes + Policy approach and can be used by water utilities to better manage drinking water distribution and improve customer service. One example is GreenSuite, a new Software-as-a-Service (SaaS) platform that helps utility customers better understand their billing patterns, learn about conservation and infrastructure issues and save money through rewards and competition. Such services are being adopted among electric utilities, with companies such as Opower providing demand-side solutions, and rapidly increasing water rates and periods of shortage are highlighting the need for similar water solutions. 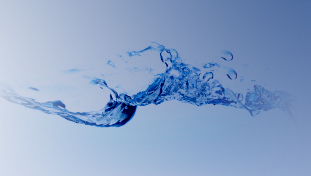 Global Water Technologies is in discussions with potential investors and water utilities about opportunities to deploy GreenSuite in beta testing to improve service for water customers. Separately, the company has also submitted a proposal for a national research project on water efficiency at airports, in partnership with two leading universities and two private sector partners. Global Water Technologies organized the research team in response for a request for proposals on an 18-month project to identify management strategies that improve water efficiency at airports in the United States. If selected for the project, the research would begin in the second half of the year.